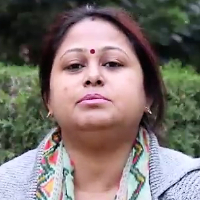 Dr Babita Prusti did her schooling from Bhubaneshwar, Odisha. After that, she did her BA, MA & M Phil in Psychology, Clinical Psychology & Child Psychology from Utkal University, Odisha. Thereafter,she did her B Ed in Special Education from Bhoj University, Bhopal and Ph D from IGNOU. In 2005, she joined Amity University as a lecturer in Psychology Department and later was promoted as Grade-III, Assistant Professor. She has more than 25 National and International publications to her credit and has presented more than 15 research papers in National and International conferences. She has guided more than 75 students in Masters & M Phil Dissertation. She has completed 13 years in Amity University. Clinical psychology is the branch of psychology concerned with the assessment and treatment of mental illness, abnormal behavior, and psychiatric problems. This field integrates the science of psychology with the treatment of complex human problems, making it an exciting career choice for people who are looking to work in a challenging and rewarding field. "After doing my schooling from Bhubaneshwar, Odisha, I did my BA, MA & M Phil in Psychology from Utkal University, Odisha. Thereafter, I did B Ed in Special Education from Bhoj University, Bhopal and after that I did Ph D from IGNOU. In 2005, I joined Amity University as a lecturer in Psychology Department. I have more than 25 National and International papers published and presented more than 15 research papers in National and International conferences. I have guided more than 75 students in Masters & M Phil Dissertation. I have completed 13 wonderful years in Amity University."